Appointments are made by phone for day of clinic only. A $10.00 donation is requested. "To Provide quality health care in an atmosphere of dignity and caring." 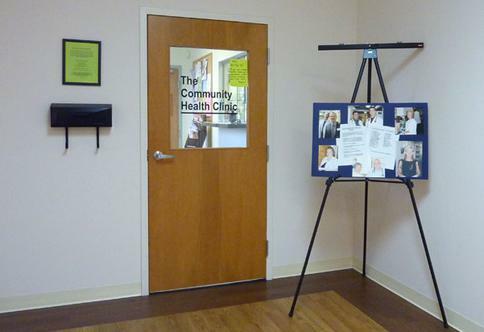 The Community Health Clinic (CHC) provides basic medical care to the working poor of Licking County. We are not a Suboxone Clinic nor do we have a dental clinic. Click on About Us for more information. The Clinic is located in the same building as the Metropolitan Housing Authority at 144 West Main St in Newark. See the map for exact location. Our schedule is subject to change so please call to hear days and times. We will be open for medical clinic Monday, April 22nd with Dr. Donnard. We will begin scheduling appointments at 4:30 for that day. We will also be open for medical clinic on Wednesday, April 24th with Dr. Laing. We will begin scheduling appointments at 11:00 for that day. You must call 740-345-1113 to schedule your appointments as we do not take walk ins.